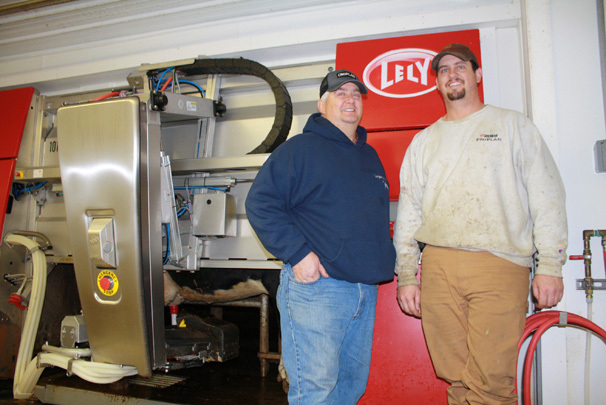 Dean and Doug Horst of Wayne County stand in front of their Lely robotic milking system they installed last year that has increased their productivity while decreasing their labor needs. Doug Horst got to take his family on a Disney trip away from the dairy farm this year, but chances are that they did not encounter anything much more magical then what they have at home. 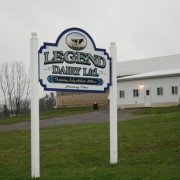 Doug’s newfound flexibility to travel somewhere other than the milking parlor on his family’s Legend Dairy, Ltd. in Wayne County is a result of the addition of two Lely Astronaut milking robots in September of 2011, which are pretty magical in their own right. 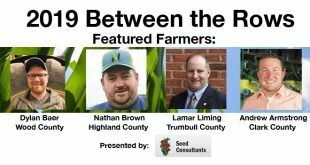 The cost of labor continues to rise and, even with a higher pay grade, finding the right person for the job on a dairy farm is challenging, particularly for small to mid-sized farms. 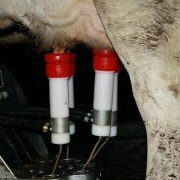 Though they cost around $200,000, robots can make economic sense when looking at the labor savings and increased milk production they offer. The robots, designed to last 15 years, allowed Doug and his father Dean Horst to increase to milking three times daily while decreasing labor. The robots are housed in a re-vamped free stall barn that is now the milking parlor. The robots made more efficient use of their resources. “We stayed about the same size since then. It gives us flexibility with labor, which was a big thing. We basically have my dad and I plus one part time employee,” Doug said. “When you’re raising a family, you need to find time for them and not have to worry about being here twice a day, all the time. There was a learning curve, but understanding the Astronaut is not rocket science, Dean said. “We always had W.G. 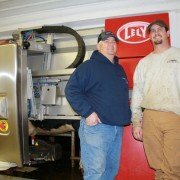 Dairy supply our milkers and they took on the dealership for Lely. 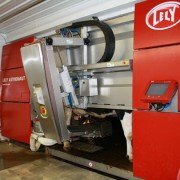 They provide really good service and Lely as a company has been so helpful. They had webinars to help train us and they still have webinars every two or three months. They have been very helpful,” Dean said. 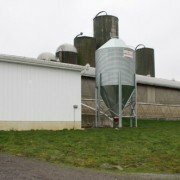 WG Dairy keeps all components of the system in stock and has service people trained and on call around the clock should an issue arise. 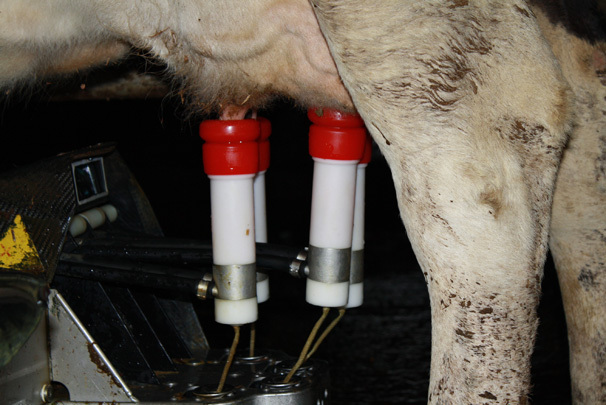 The actual milking process takes 7.5 minutes per cow from the time she enters the robot until she leaves. 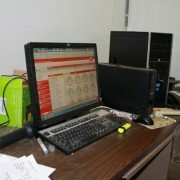 The system is run by a series of computers and can be monitored via cell phone, Doug said. The robots capture a huge amount of data that can help with managing the herd. There was a robot learning curve for the cows as well. For cows new to the system there is a pen to force them through the robot. ”We have a commitment pen where the only way out is through the robot. First calf heifers tend to be more timid and they need a time when another cow won’t come in and move them out of the way. I’d say on average it takes two weeks for them to start coming in on their own. For the most part they develop their own routines,” Doug said. 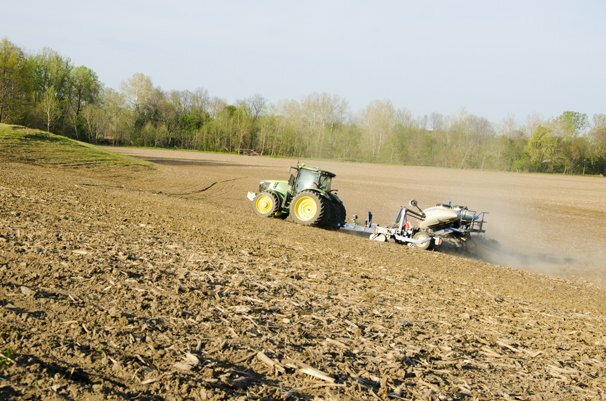 Both Doug and Dean agree that the robots are a great and beneficial addition to the farm. Dean hopes that will continue to be true for future generations of his family. 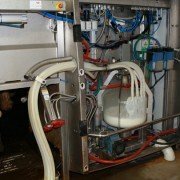 See more photos of the robotic milker and Horst Farm.